Wikitude and eoVision collaborate to bring visitors the 21st century art exhibit experience. With a heavy emphasis on graphics, eoVision faced the challenge of conveying large amounts of information about the images, without the use of traditional print. Seeking an innovative solution, the firm turned to Wikitude and utilized our image recognition and tracking engine to trigger 3D models, multimedia, text, and other web-based content. When museums around the world added audio tour guides to their standard fare, visitors received the added benefit of information about the piece of art they were viewing. However, this experience is limited to the ears, and not the eyes, and often requires viewers to follow a specific route through the exhibition.With the advent of augmented reality and image recognition, visitors are now freed from this pre-determined route, and can stay focused on the visual experience of an art exhibition, while still gaining valuable insight into what they’re viewing.In conjunction with eoVision and the Salzburg, Austria Haus der Natur, Wikitude co-curated an augmented reality powered art show that delighted and informed visitors. 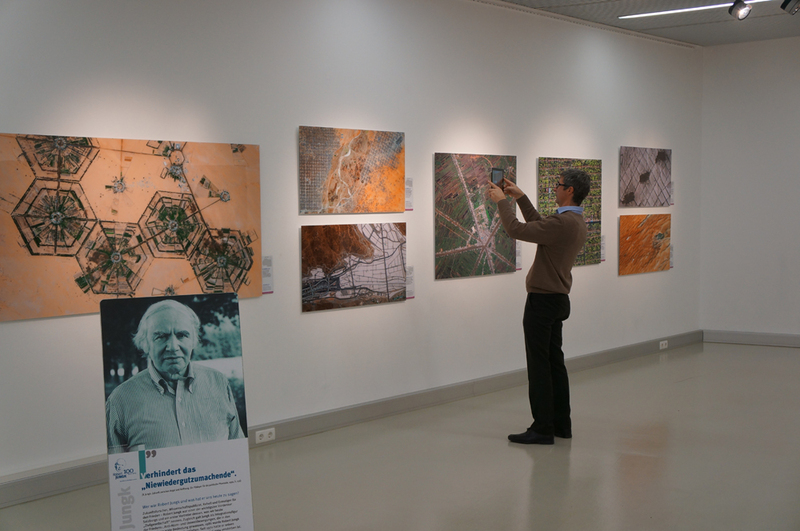 Using Wikitude’s powerful image recognition technology, visitors were able to use their smartphone or tablet devices to learn more about the highly detailed satellite image artworks that they were viewing. 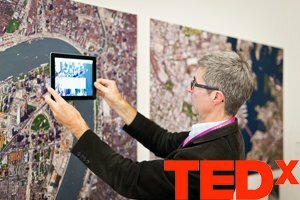 Some images triggered 3D models, while others displayed informative video content and relevant geographic data. 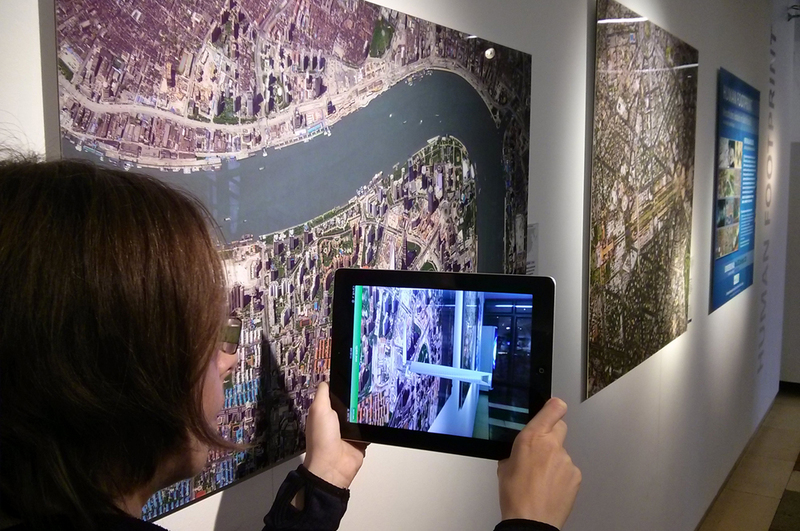 You too can experience the power of augmenting an art exhibition here and now. Simply download eovision’s one earth app (download the app for free from the App Store or Google Play), click through the images below to enlarge, and then scan them with your device. 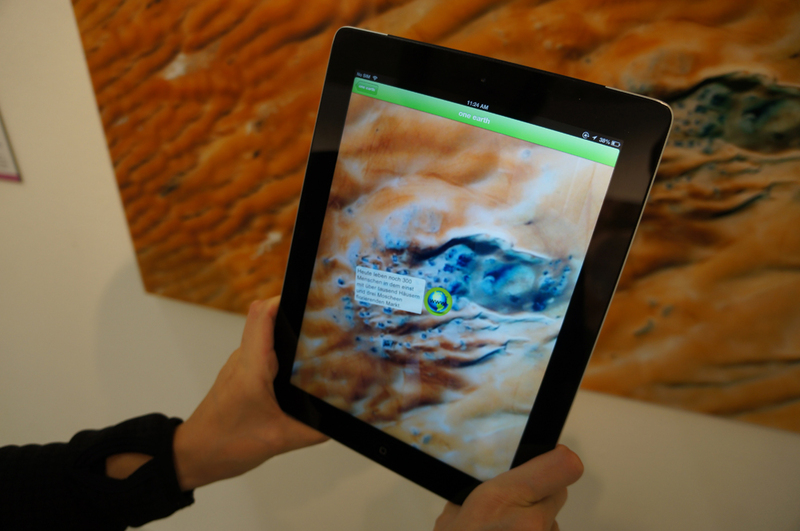 The potential of augmented reality in an art world setting is limitless. By using Wikitude Studio to create your experience, you can easily add text, video, and/or 3D models to your augmented content, and manage it all from one highly intuitive user interface. With built in statistics, you can monitor which pieces users are interacting with the most and further refine your gallery experience. All of this … and more, with Wikitude Studio. Get started today!